Selecting reputable legal counsel is not an easy task, especially when you are hurt and scared and inundated with television and billboard lawyer advertising. In addition, there are lawyer referral services that are not even law offices that flood the advertising market soliciting your case. In order to get the compensation you deserve — and desperately need — you need a law office and lawyer with specific attributes. 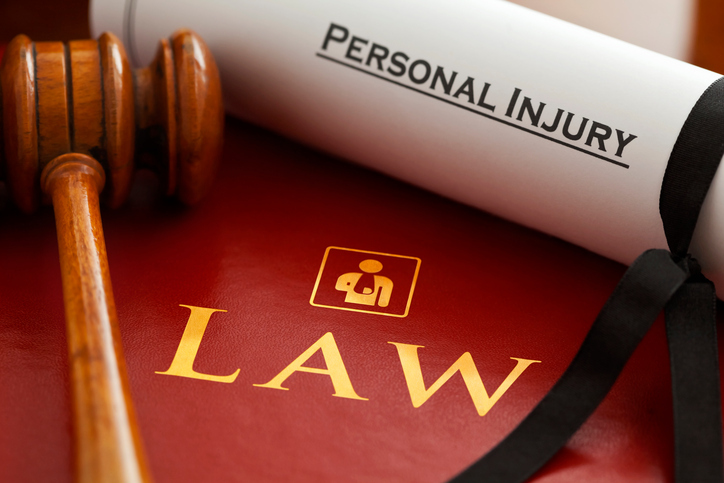 First, you need an attorney with a proven track record in personal injury cases. This attorney will be able to use his or her experience to get you a monetary damage award that may include compensatory (economic) damages and punitive damages. Compensatory damages are designed to place you in the same position you’d be in if the injury would have never occurred, financially, physically and emotionally. These economic losses include medical bills, costs of living with a disability, lost wages, repair or replacement of property, funeral expenses and more. Non-economic damages include payments for pain and suffering and loss of consortium for spouses of people who have been injured. A skilled personal injury attorney may also be able to help you with punitive damage monetary awards above and beyond the medical bills and pain and suffering that are designed to ‘punish’ the defendant and deter others from engaging in similar behavior. You also need an attorney who knows the insurance industry, and its claim handling techniques, inside and out. This personal injury attorney will understand your rights as the victim, and your insurance company’s obligations to you; they will know how to communicate your story to be able to maximize your settlement. A good personal injury attorney will know how to expertly prove that you were not guilty of any negligence and that you did nothing to contribute to you getting hurt. He/she will know how to help you prove your claim for money damages. You need a personal injury attorney that isn’t afraid to battle deep-pocketed insurance companies. More importantly, you need one that knows how to make them pay! Few things make attorney Michael B. Brehne happier than helping injured people — especially when it means making big insurance companies pay. When you need someone in your corner, you can count on Michael to fight for you. Michael gets clients representing every walk of life you can imagine from children to seniors. No matter where they come from, they have one thing in common: They come to Michael with an injury that’s not of their own doing. Michael understands the perspective of an injured person. He knows that you’re in pain, that you’re confused. He understands that you feel slighted, taken advantage of, and wronged. When you get hurt, it can feel like you’re catching it from all angles — from the person that hurt you, from their insurance company, from your own insurance company, from your job because you have to miss work, from your family because you can’t help out like you want to. Your entire life is in a tailspin. Michael knows that when you call him, you need help and need him to straighten it all out. The good news is, he and his office knows exactly what to do. In fact, he’s been helping clients just like you for over 15 years and has handled multiple cases just like yours. He knows how to get your case through the system. While Michael can’t control everything, he can give you excellent advice on how to minimize your exposure to the dangerous pitfalls of an injury claim and the routine “tricks” of the insurance companies. Best of all, he can give you hope. Once you give your case to Michael, you can breathe a sigh of relief. You don’t have to worry about the phone calls with the insurance companies, filling out their mountain of paperwork, and you don’t have to worry about being stressed out over something you did not do. Once you hire Michael, your only job is to get better —you’ve got Michael on your side to do the rest. How is Michael different? Let’s count the ways. First, Michael has a record of success to prove experience and knowledge counts. In the past 16 years, he has achieved numerous high dollar settlements for injured people — with some results in multiple millions of dollars. He does what he says he will do. Michael has personal relationships with award-winning doctors and surgeons who often treat his clients on Michael’s good name, waiting to get paid when you do. The physicians know Michael’s work, and are confident in his abilities to win. Michael’s credentials speak for themselves. After earning a degree at the University of Florida, he went on to law school at Mercer University. By the end of his first year of law school, Michael was selected as a Moot Court team member and competed in national moot court competitions across the country. In addition, Michael was selected as a member of the Mercer Law Review and was awarded an academic scholarship in his third year of law school. He graduated from law school number 17 out of a class of 141. Michael is admitted to the Florida Bar and was admitted to the Federal Bar in the Middle District of Florida. He is a member of the Orange County Bar Association, Seminole County Bar, American Association for Justice and the Florida Justice Association, formally the Association of Florida Trial Lawyers. Michael is fearless. As a former police officer and Auxiliary State Trooper with the Florida Highway Patrol, Michael served on several special duty assignments including narcotics interdiction and fugitive apprehension squads. A former detective and investigator in the Drug Enforcement Division, Michael routinely ventured into dangerous undercover situations — literally chasing armed felons and taking down three at a time. In the legal world, Michael is a fierce shark and has prevailed over major homebuilders, hospitals, insurance companies, airlines and national restaurant chains for injured people. Michael knows that communication and accessibility is essential in a client-lawyer relationship. When you call the Law Offices of Michael B. Brehne, P.A., you are going to talk to Michael, not be passed on from extension to extension. When you work with Michael and his team, you can expect one-on-one time with Michael, and confident answers to your questions. You can also expect welcoming, personable, friendly service from professionals who will know you by name. What you see is what you get with Michael. Fellow motorcycle riders will be happy to know that Michael doesn’t just say he is a “motorcycle attorney,” he truly is one. He works hard and plays hard. When he’s not working on a case, Michael is out riding in the Florida sunshine, breathing in the fresh air, listening to his favorite song while the engine on his Screamin’ Eagle purrs. Michael understands the perspective of bikers. Like you, he loves adventure and has a zest for life. But in the courtroom, Michael is buttoned-up, polished, and professional — exactly what you’d expect and need your lawyer to be. Michael is 100% brutally honest and unapologetically fair. If he doesn’t think you have a case, he won’t waste your time, he will tell you directly. He is drama-free, straight to the point, and has a get-it-done mentality. Michael will tell you what is best for you even if it isn’t best for your case and even if the answer is not what you want to hear. Michael’s legal philosophy is different from most lawyers you’ll find because it’s not about him; it’s about YOU. On television, there are plenty of shows depicting lawyers battling in the courtroom, but most consumers don’t realize that going to trial isn’t all it’s cracked up to be. When you’re hurt, your first priority should be to get better. Toward that end, everything Michael does focuses on helping you get what you need as quickly and painlessly as possible. Often, trials don’t work with that equation. Truly outcome-focused, Michael knows how to expertly present your information to the insurance company to get you a settlement as fast as possible. If he has to litigate, he absolutely will. Yet, most injured people prefer settlements to trials. Why? The headache, time constraints, hassle, derogatory questions, and embarrassing defense attorney tricks designed to pressure you to drop your lawsuit. Consider this: Insurance companies don’t want to pay, and they will do whatever they can to discredit you, your doctors and your story. The attorneys for the insurance company want to embarrass you, harass you, antagonize you, and get you to lose your composure by negating everything you say. To do that, they will want to access your complete personal medical history, employment records and other private information for the last decade — records you never would imagine they are entitled to see and wished no one would ever see. Most people don’t realize that when you file a lawsuit, you’ve just opened up your entire life to be displayed in public. Also, in most cases, you will be put under surveillance and videotaped as you go about your day. Insurance companies hope you will bend or lift something so they can jump up in front of a jury and say, “See! She/He’s not really hurt!” Michael wants to avoid all of this for you and works towards fast, efficient and maximum settlements. Michael works to get you the best outcome in the fastest, most painless way. He will do what he has to do to get you the best representation, even if it means combining efforts with another firm. Michael Brehne is intense, but reasonable; compassionate, but tough; always prepared, but completely adaptable; doesn't over-promise, but delivers if he makes a promise. Call Michael at (407) 645-2195 to schedule your free consultation. Michael DOES NOT CHARGE ANY FEES OR COSTS IF YOU DO NOT WIN YOUR CASE! In that instance, he will have worked for FREE! He doesn’t like to work for free, so he will do everything possible to make sure you get your recovery in every case possible. Visit www.brehnelaw.com to learn more about Michael and download free information.